It was nice to see a great turnout tonight of 13 players! There were a LOT of fast games, so I know we can all improve on that. But there were some really good slow games too - in each of the games, Carson, Aaron G, and Elijah finished in the final 3 games. Nice job to all, hope you had fun! 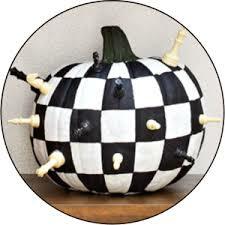 Reminder - NO chess lesson at Mill Valley on Halloween, but go to Chesskid.com for an MSCC Halloween Spooktacular Tournament! see email sent to all parents. Just a reminder that the chess apparel order forms are due this Wed (16). 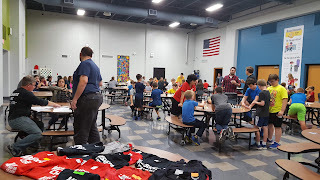 For those of you that are new to the club (& those of you that aren't), our club is a non-profit group & we have three fundraisers through out the chess season to help pay for the IAC Coaches (Mr. Andy & Mr. Ryan) along w/misc. supplies that the club may need throughout the year. The main fundraiser that generates revenue is the Muskego Melee which will be held at Lake Denoon on December 1. As the time gets closer, we'll need volunteers through out the day. The second fundraiser is a pizza party at the beginning & end of the season. This happens from 6:15-6:45 pm & will be on Wednesday, October 24. The pizza party is open to the chess players & their families. We do ask for a $5 donation/per person & that everyone starts out w/2 slices to make sure there's enough food to go around. If you'd like to bring a snack, salad, etc., please let me know. Anything is appreciated. The third fundraiser is the apparel. The club gets a portion of every item ordered (with the exception of the jacket) so order for grandmas, grandpas, family friends, etc. The order form is due on Thursday, October 24. If you have any questions, feel free to ask. Also, it was brought to our attention that Trick-or-Treating is Wednesday, October 31 so the club won't meet that day. Stay tuned for details if something else will take it's place! I'm sorry for the confusing information about the apparel. Yes, the vendor does offer Dri Fit (short sleeve) as in previous post. It also comes in long sleeve but only in black. The price is $17/each for both adult & child sizes with the exception of 2 XL-4 XL, then it's $18. What a great first class we had last night. It was great to see so many new & familiar faces. I also wanted to let you know that the vendor offers "Dri-fit" shirts so if you're interested in that vs. the cotton shirts just write "Dri Fit" on the order form, color (red or black), & size. They're $14 each & you can also get it personalized for $5 more. Have a good week & see you next week! I'll have order forms available for MSCC Apparel (a fundraiser for the club as well). The due date is October 17. I do realize that's only a 2 week period but I'm hoping we'll have our apparel by the first tournament November 17 at University School. If you'd like to order but won't be able to attend the first two meetings, please send me an e-mail at leahmike@ymail.com & I'll be happy to e-mail you the order form.